At Nickerson Tree & Landscape we find that one of the biggest contributors to “Curb Appeal” is a beautiful lawn. The correct amount of good topsoil as well as an appropriate amount of water and a consistent lime and fertilizing program are essential along with a good mowing schedule to build and sustain a beautiful lawn. 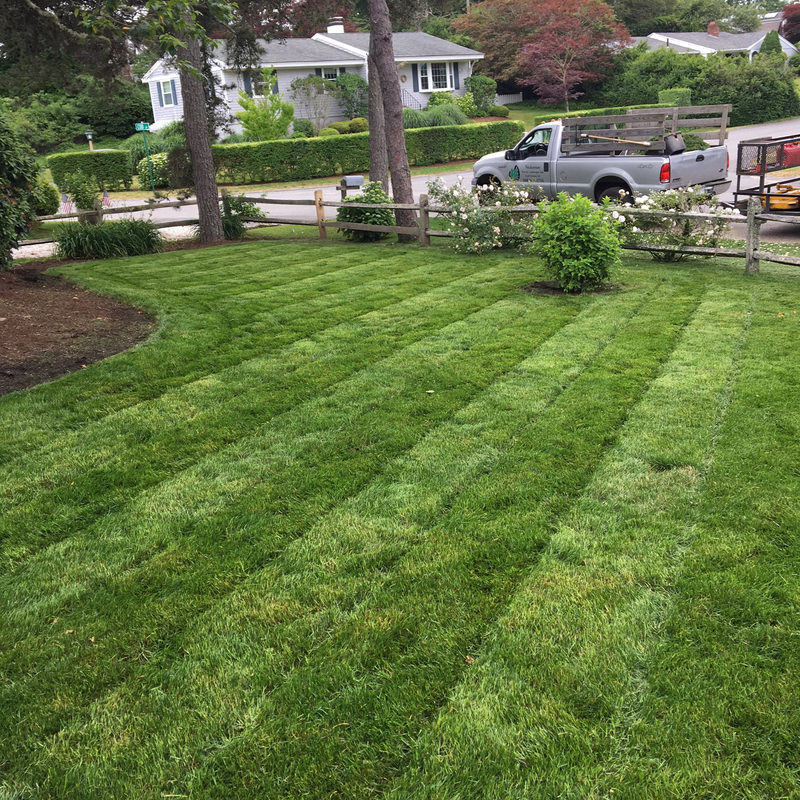 The optimal planting times for new lawns here on the Cape are generally Spring (April) and Fall (September) so that the roots get established before excessive heat or cold. Our new lawn installations are hand raked and rolled to remove rocks and other debris from the topsoil and also to minimize cupping or puddling of water. Our customers may choose either seed at the recommended rate, hydro-seed or sod for a beautiful finished look that will really improve the property's appearance. We can also re-establish existing lawns. Call or email the office to schedule an appointment for estimates. Nickerson Tree and Landscape Inc.
© 2019 Nickerson Tree and Landscape All right reserved.